We will begin by exploring the utopian idea of the creative city, where artists and arts organizations are viewed as critical components of a healthy ecosystem. We’ll ask what role the arts sector can play in “civic creativity” or “cultural strategy” that creates “social wealthy” and helps shape public sentiment, city planning and policy. We will also discuss the robust migration of the technology community from Silicon Valley to San Francisco and Oakland and the effect it has had on the non-profit and commercial arts sectors. Could we have predicted the challenges? How can we move forward? Can a revived social logic, balancing independence and interdependence cultivate resilience for artists, arts and culture workers and arts organizations? 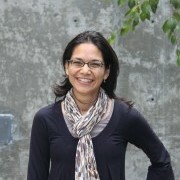 Shalini Agrawal is the Director of the Center for Art + Public Life at the California College of the Arts. The Center believes community engagement is the foundation of a practice focused on changing the world. In order for CCA students to fully experience this practice, the Center facilitates mutually beneficial partnerships with community-based organizations outside of the college. Trained as an architect, Agrawal has worked in New York, Chicago and San Francisco on projects ranging from architecture, interior architecture, landscape architecture and installation art. In addition, she has over 20 years of experience engaging diverse communities on local, national and international forums. She co-founded the Chicago non-profit Architreasures where she designed its program that engages in participatory design methods to assist communities in transforming schoolyards and public community spaces. She facilitated multi-disciplinary workshops between participants of all ages, ethnicity and socio-economic status. Now in its 20th year, Architreasures was recently awarded the AIA Presidents award for significantly advancing the principles of livable communities and promoting the understanding of the profession of architecture. 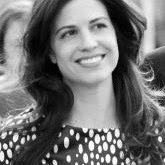 Kiley Arroyo is a dynamic independent research, evaluation, and management strategy consultant based in the Bay Area. For the past two decades, she has been intimately involved with a diverse range of social-sector organizations based in the US and internationally. Her work resides at the intersection of public policy, philanthropy, and the arts & culture sectors, with a particular emphasis on place-based initiatives. In 2007, she established the Cultural Strategies Council, after a decade of work with nonprofit arts organizations, funding agencies, policy think tanks, and the management strategy firm McKinsey & Company. Envisioned as a vehicle for interdisciplinary research and creative strategy, the firm’s work has focused on culture-driven and equitable development, cross-sector, partnerships, and organizational change. Current clients include Enterprise Community Partners, The Low Income Investment Fund, the Kresge Foundation, envelope a+d, EmcArts Inc., Spaceworks NYC, Americans for the Arts, and the MacArthur Foundation. Kiley has gained first-hand knowledge of the capacities required to integrate these practices into comprehensive community development. She has deep expertise in multiple aspects of place-based cultural strategy from public engagement to policy change. Kiley has collaborated with diverse stakeholders including local leadership, nonprofits, creative entrepreneurs, individual artists, municipal agencies, academic institutions, and several foundations focused on the needs of distressed communities. This work has taken place at the local, national, and international levels, and grew out of her early career as a community-based arts educator. Kiley has supported a variety of place-based projects such as Proxy SF and NOW Hunters Point, which emphasize participatory approaches to neighborhood revitalization. She advised on the Exploratorium’s Ciencia Pública initiative, which used creative placemaking as a means to provide STEAM education in Latino neighborhoods in San Francisco. Kiley has lectured and advised on culture-driven development in Taiwan, Chile, and the United Arab Emirates, which explored ways culinary heritage could celebrate the distinct character of a place, enhance resident health, and stimulate economic development. Kiley has written about cultural innovation, adaptive land use, and heritage preservation for the Rockefeller Foundation, UNESCO, and Demos. Working in partnership with the Foundation Center, Kiley led research for Harvard University’s Initiative for Sustainable Arts in America and collaborated with Maria Rosario Jackson to examine cultural leadership. Kiley’s professional expertise builds upon her interdisciplinary academic training in art history, architecture, and cultural policy. Identify two Bay Area organizations that stand out for you. Gather information about them and how they are connected to one another (doesn’t matter how, you can use your imagination). Please wear comfortable shoes for this session. How can a focus on creativity change the way our cities work? What is the ideal role of artist and creative place-makers in the civic landscape? What is the reality of the role in most urban centers? Identify some possible actions to change that role. What is the connection between them? How do they play off one another? Do they share an audience? Examine similar themes in their work. Do they seek the same funding? What else? Wealth and the City by Emmanuel Rodriguez. View Creative City on Hackpad.